I had the most luxurious spa experience last night…..and it was in my own bathroom. It has been a very long time since I felt so relaxed, pampered and like a new woman. I used to be so proud of my skin, it was clear and youthful but after three difficult pregnancies in three years, my skin really took a beating. I am very selective about the products that I will use on my body and want to make sure that if I invest in a product it is going to be the highest quality. Enter….Nutra Lift, an organic skin, hair and cosmetics line brings together the “magic of science and nature” and has helped to make me feel good about my skin again. I started off with the Nutra Lift One Step Body Scrub which was the most luxurious body scrub that I have ever used. It cleanses, exfoliates and moisturizers in one step delivering up to “1,000 times more moisture.” It contains seaweed and walnut shells for exfoliation and organic aloe, vitamins and antioxidants. I really appreciated that the exfoliation was vigorous but did not tear my skin or leave it feeling scratched up. Instead my body was literally glowing and my husband commented on how smooth it felt. Even better is that a small amount exfoliated my entire body so 8 ounces will go a long way. Next, I washed my face with Herbal Non Soap, a moisturizing cleansing gel. A tiny dab cleansed my face removing all of my make-up and mascara. My skin felt clean but not dry. Herbal Non Soap is made with a refreshing and soothing organic aloe vera gel, rose hips, olive leaf and green tea among the long list of herbal ingredients. 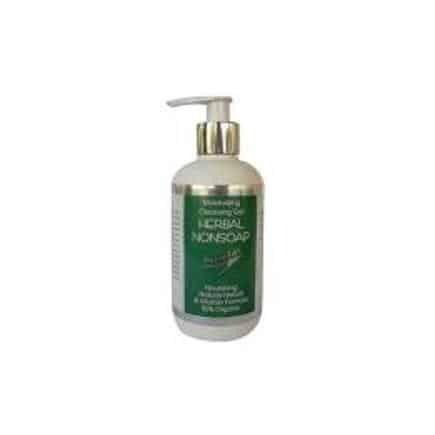 If you are looking for an excellent facial cleanser that will not dry out your skin then Herbal Non Soap is a top notch product. I then polished my facial skin with Grape Seed Foaming Face Polish which transformed my dull skin into glowing skin with just a hint of natural blush. I haven’t had glowing skin in years! The anti-oxidants come from within the muscadine grape seeds and skins and from organic honey which makes up the base. Grape Seed Foaming Face Polish takes just a small amount but really worked to stimulate and moisturize my skin. I have very long highlighted blond hair which has really taken a beating with the Florida summer and chlorine from our swimming pool. As soon as I opened the bottle of UltraNutrient Shampoo the scent it released was like stepping into the most expensive salon or spa….it was amazing. I was concerned that since it was not a soap or detergent based shampoo that there would be very little suds. Thankfully, I was wrong and a quarter size dap lathered up nicely and was enough to clean my hair. 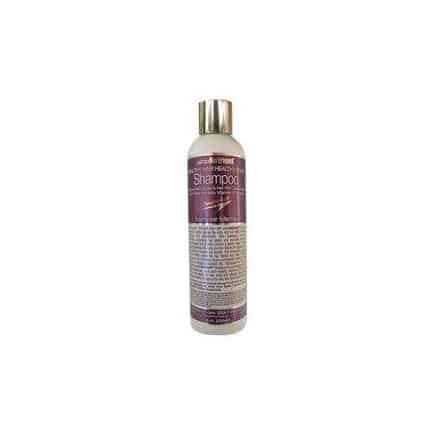 My scalp tends to be extremely dry and gets irritated easily but after one week of using UltraNutrient Shampoo I noticed that the condition of my scalp was much improved. UltraNutrient Shampoo includes seaweed, sea kelp, jojoba and rosemary as just a few of the high quality ingredients. The biggest challenge for my beauty routine is hair conditioner….because I have long hair that is highlighted it is very hard to keep smooth and detangled. I have found that many organic or natural conditioners require me to use a lot of product in order to condition my hair. This was certainly not the case with UltraNutrient Daily Moisture Hair Conditioner for “thicker fuller healthy silky hair.” I can’t say for sure whether my hair looked thicker but I can 100% say that after using only a quarter size amount my hair was easy to comb and much silkier. My hair looked and felt healthy without being greasy or weighed down. My favorite feature is that my scalp felt healthier too with no irritation or build up. The final step of my spa journey was moisturizing…..both face and body. My favorite product was the Nutra Lift Collagen Reneu which provides a dose of soluable collagen to help extra firming of the face and neck and antioxidants to give the appearance of youthful skin. I admit that I don’t always moisturize my face or body even though I know how important it is but I hate that many products are heavy and feel greasy. Nutra Life Collagen Reneu is an intensive moisturizer that instantly absorbed into my skin and instead of feeling heavy just made me feel like I had beautiful skin again. Ladies…I don’t even know how to describe the body moisturizer-the White Chocolate Body Butter. 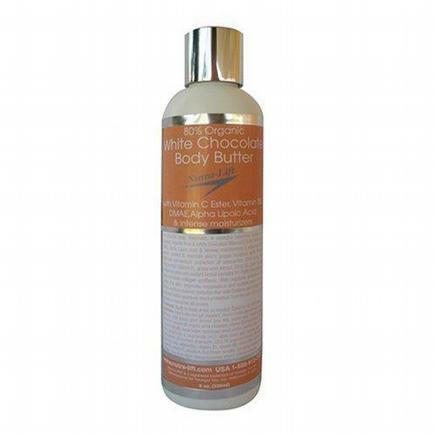 With the most amazing smell of natural chocolate and the intensive moisturizing of the cocoa butter, this is by far the best body moisturizer I have ever used. It felt almost decadently sinful as I applied this to my entire body. Another of my favorite treatment products is Nutra Lift Night Repair which provides complete cellular renewal and rejuvenates with L-Carnitine. 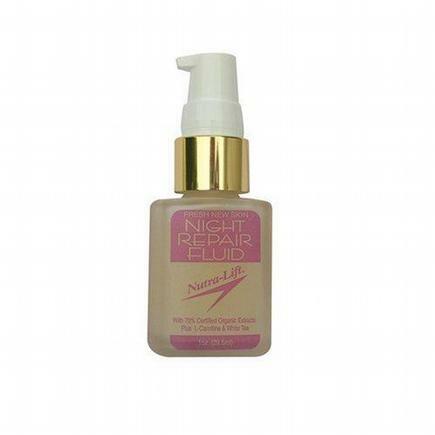 Nutra Lift Night Repair “creates newer fresher skin and in quicker time than chemical peels”. I have personally tried other products in the past that have a similar goal but my skin usually reacted by becoming red and irritated. I did not have any irritation at all while using Nutra Life Night Repair and my skin did feel smoother and brighter after my first few applications. I stepped out of my “spa” and felt like a new woman emerging….gone from my mind were the extra 20 lbs of post pregnancy weight, dull and dry skin and brittle, frizzy hair. In its place was a confident wife and mother who giggled like a teenager when my husband took my hand and told me that I was the most “beautiful woman he had ever seen”…oh and I smelled good too! Are you ready to transform yourself and have an amazing spa experience in the comfort of your own home? WOW, these products seem interesting, especially the shampoo. 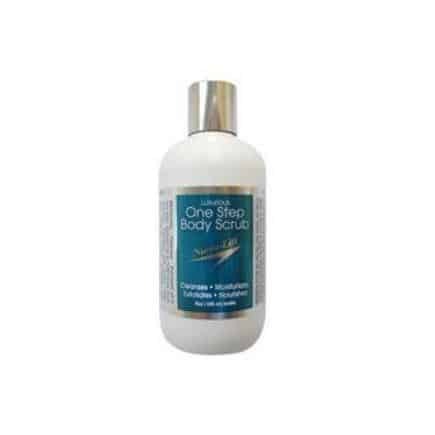 The one step body scrub, too! Again, they ALL seem great! I follow u on Twitter and FB as novabynature. The products were really some of the best that I have ever used. Don’t forget you can try it for 50% off with Stacie’s Open Sky coupon. What a great deal!